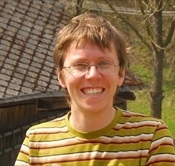 Michal has an excellent historical knowledge of the area and local customs. He found our family, which we thought was impossible. He formed a wonderful bond and rapport with them all. Because of him, my sister and I found our family roots, which cannot be measured. We can never thank him enough and plan to return next year and will definitely retain his services again. Michal is amazing. He does everything possible to help you find things to connect to your heritage. The day gave me a link to my father that I could not have imagined. I will treasure the memories of my day in Slovakia. TOUR GUIDE RESPONSE: Thank you very much for coming! You are always welcome to return! Michal made efforts to make our tour special and personalized. Spis Castle was incredible, even in the rain, and Michal's knowledge and love for his country was evident throughout. Michal was well-organized, friendly, and well-equipped to help me search for family clues. Real knowledge of history. Fluent communicator. Very responsive to email questions. Helpful in advance finding train schedules, and ensuring I got on the right train at the end of the day. He was the perfect guide. As a solo, mature, female traveler, I could relax for a great day. Michal is a great tour guide. He is very knowledgeable, and was very accommodating with our group. The center of Bardejov is charming, and the spa resort just north of the city, with its nearby open air museum of regional rural architecture, was an unexpected bonus. 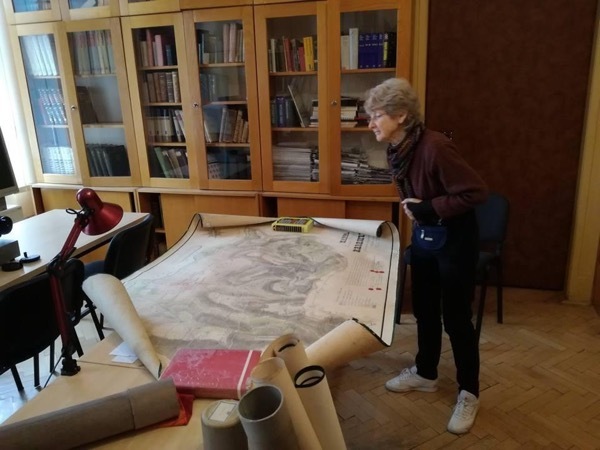 We are glad we took the time to see Bardejov, and Michal's insights made our time there more meaningful. Michal was a great guide and he even went out of his way to assist us with our connection to Poland (when our taxi did not show up). Lunch stop was brilliant. Safe driver. Definitely recommend. Michal was awesome. He is very knowledgeable regarding the history, the area, and the castle itself. He was also very entertaining and fun to deal with. On time and concerened about my welfare. Overall this was an exceptional tour. Michal was a great tour guide and was eager to assist in finding relatives. I was impressed on his knowledge of the area even though we where 80km away from Presov. He was friendly and charismatic, which helped open doors to locals we met to explore my heritage and get answers. Overall our trip was excellent. William H.
Michal is highly motivated and enthusiastic; a good "ambassador" for his region. The day was well-planned. We were escorted to all the towns and villages of interest to us. He went out of his way to accommodate our travel schedule, picking us up and dropping us off at the train station. He even went in with us to make sure out ticket purchase went smoothly. He is to be commended and I highly recommend his service. My sister and I planned a trip to Slovakia hoping to better understand our roots. Michal met us in Presov and drove us to the birth town of my Grandmother in Bardejov. In Bardejov as our guide and translator he facilitated the discovery of the grave marking of our great-grandparents in a small cemetery near the rail station. We could never do that without his help. In addition Michal knows the history behind the migration to the US from Slovakia, and has many interesting facts to share. Thank you Michal. Our tour with Michal was terrific and more than we expected. This was a last minute decision and he was incredibly resourceful and provided a lot of information about where our ancestors had lived. Even though we only had a few names to offer him, Michal showed us the town and area they were from and a recreated village that portrayed what our ancestors life was like. We ate a wonderful Slovak meal. Michal's knowledge of the culture and history of the area is excellent and we hope to return with family.